Gathering arms spread 47" wide for maximum coverage. 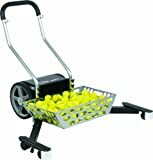 Folds with the push of a button to 22" wide for easy maneuvering and storage. 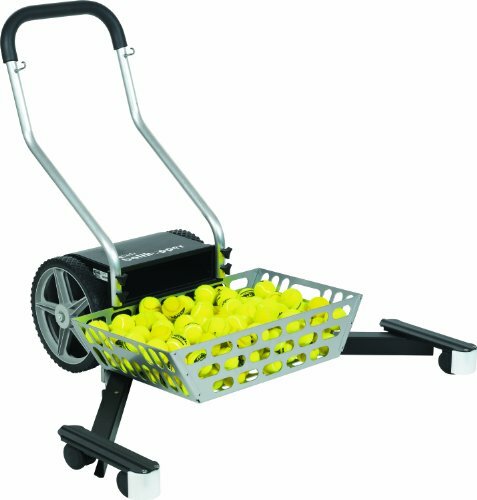 The Ballhopper Ball Mower's light-weight aircraft aluminum frame is coated with chip-resistant polyurethane. Available in Black with Chrome Basket.